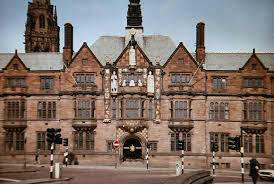 COVENTRY CITY Council has renewed its promise to support some of the most vulnerable Syrian refugees. With pressure mounting on David Cameron and the UK Government to help more refugees, the Council has pledged to continue its efforts in housing and supporting some of the world’s most at risk people. Since the start of the conflict, Coventry has been one of just four UK cities welcoming refugees – mostly women and children – as part of the government’s Vulnerable People’s Relocation (VPR) programme. So far, 78 people have been relocated to the city with a further 29 due to arrive in the next two months – equating to just over a third of the 216 people the government have granted asylum to under the scheme. And now Council Leader, Coun Ann Lucas OBE, has welcomed calls for further support for refugees by local authorities. She said: “The City Council has taken responsibility for coordinating this within Coventry, making sure that people, most often women and children, who have suffered enormously through the Syrian conflict are safe and cared for, in a dignified and appropriate way. Coun Lucas said the Council had been working alongside the voluntary sector, faith organisations and statutory services to ensure the new Coventry citizens get care they require in this time of need. And with costs associated with the government’s VPR programme covered nationally, she argued that local governments should and are best placed to ensure integrated and effective support for refugees. She added: “We are a city of sanctuary, and a city that cares deeply about people in need, wherever they come from, and we have always welcomed new arrivals to Coventry.